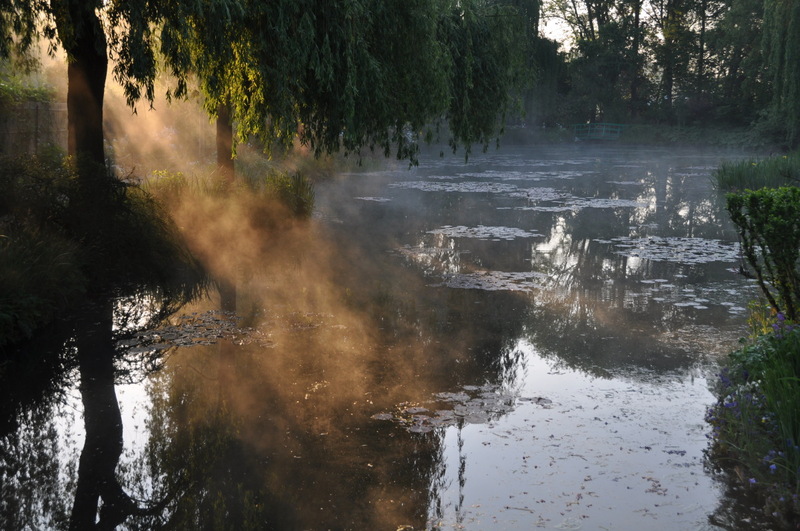 7:30 a.m. at Giverny, 4 May. The sun appears behind the hill, enlightening the soft mist lingering over Monet’s pond. The garden is quiet, peaceful. Birds are singing the new day. And light starts its magic on the surface of the water.